Welcome to a new school year! While most families are ordering their homeschool curriculum choices and just starting to gear up to begin classes again, we are wrapping up our first month. Last year was our first official year of homeschooling and we made the decision that each year we would start off on July 1st with the 4th of July being our first project. So far, it is working fabulously for our family! With traveling full-time, schooling year-round makes much more sense for us than following a traditional school calendar. We take the month of June off for the most part but having the freedom to skip school on move days or for our vacations to see people reduces our stress tremendously. This year (2016-2017), Wild Child will be working through PreK4 while Princess is legally enrolled in 1st grade through the state of Arkansas. Since this is considered our home state for schooling purposes, we are not required to keep any records, take any tests, or submit attendance. We are required to notify the state of our intent to homeschool and then from there we are basically left alone to school as we wish. I love the freedoms! We can charge ahead when the littles stumble upon a topic they love or we can extend lessons they are not thrilled about, making the time spent each day on that topic a bit shorter to keep attention spans better. So, what homeschool curriculum choices did we make this year? Check it out below! Number Skills K5 – Colorful activity book containing 164 pages focusing on counting objects, sequencing, counting money, matching, forming patterns, telling time, and basic addition and subtraction. 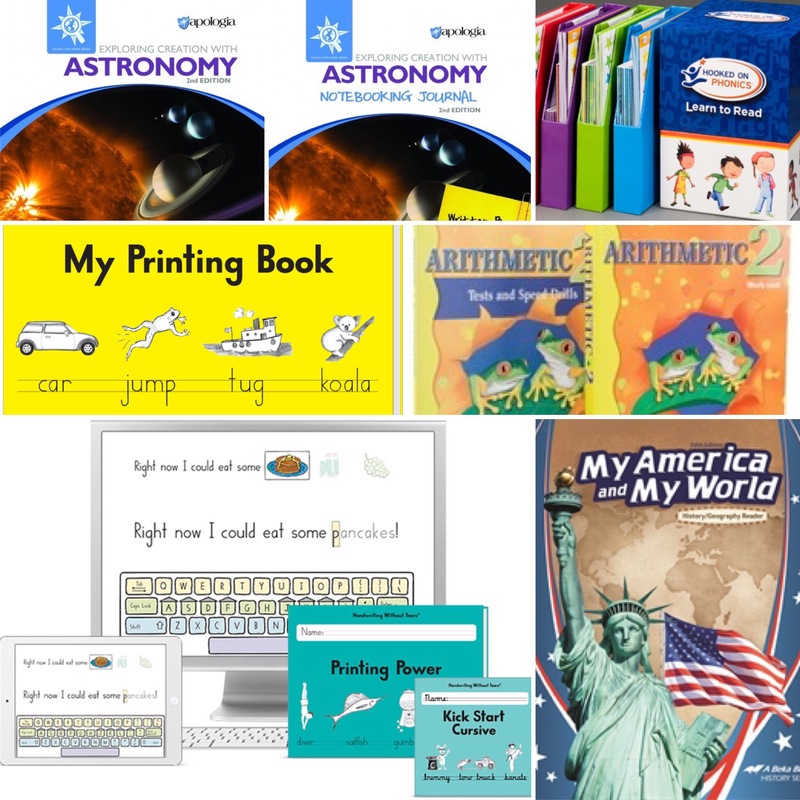 Levels 2-4 from their Pre-K to 2nd Grade Kit – This kit includes 4 sets of flashcards, 8 DVDs, 8 workbooks, 8 sets of rewards stickers, and 36 storybooks. Transition to Kindergarten – Includes Kick Start Kindergarten and My First School Book which introduce students to upper and lowercase letters and are ideal for a Pre-K setting. Letters and Numbers for Me – A kindergarten level workbook teaching the basics of writing uppercase letters, lowercase letters, and numbers correctly within the lines. Kindergarten Teacher’s Guide – A guide for helping your child master handwriting, build confidence, and write automatically in only 15 minutes a day. Grade 2 Arithmetic Kit – Focuses on addition with carrying, subtraction with borrowing, counting money, telling time, and reading graphs while utilizing spiraling learning and emphasizing on using math within real-life situations. 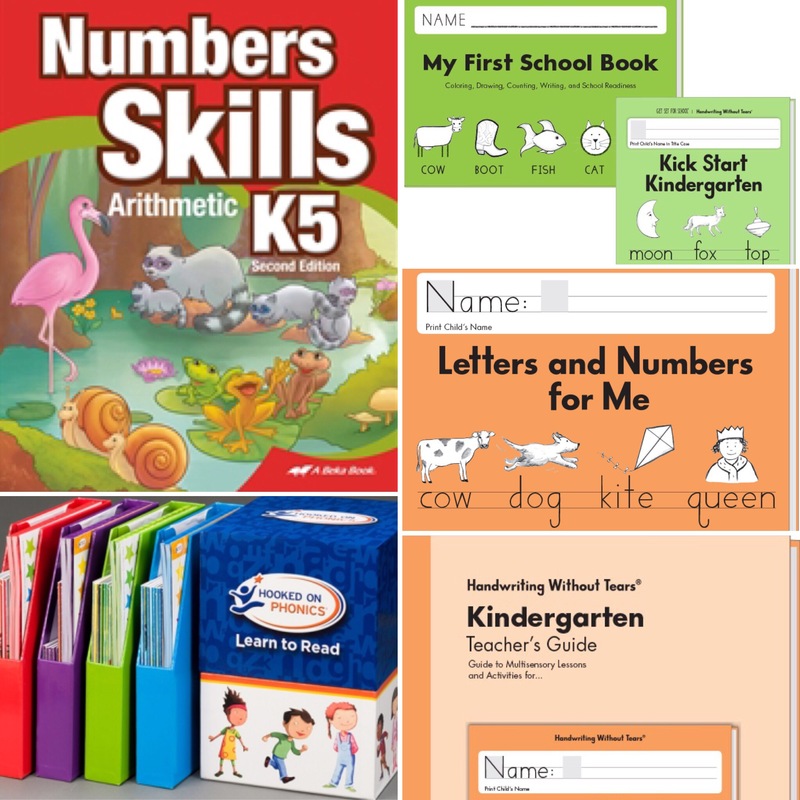 Levels 5-8 from their PreK to 2nd Grade Kit – This kit includes 4 sets of flashcards, 8 DVDs, 8 workbooks, 8 sets of rewards stickers, and 36 storybooks. My Printing Book – For students working at a 1st grade level, this book emphasizes the correct use of uppercase and lowercase letters while working to teach beginning language arts lessons. Key Power & Printing Power Plus – Includes a 1-year student license for Key Power (typing) and Printing Power Plus, the 2nd grade handwriting workbook. Exploring Creation: Astronomy (2nd Edition) – Utilizing the Charlotte Mason method, Apologia’s Astronomy curriculum sets out to explain our universe in a full-immersion course that can grow with families as they learn together. Exploring Creation: Astronomy Junior Notebooking Journal (2nd Edition) – Featuring coloring pages, wider writing lines, and easier vocabulary, these personal notebooks are perfect for kindergarten through 3rd grade. My America and My World (New Edition) – A great introduction to America including our history, good citizenship, and basic geography. Having trouble with how to get started homeschooling? Check out our recent post, Where to Begin! Homeschooling on the road must make for some awesome field trips! Great choices! I teach 1st grade at a Classical school. Best of luck this year!